The role of the Board is to oversee the activities and internal affairs of the Association and set its strategic direction and policies. The Board is comprised of our President and President-Elect, both of whom are elected by the membership, along with seven Directors-at-Large who are nominated by the membership and elected by the Representative Assembly. 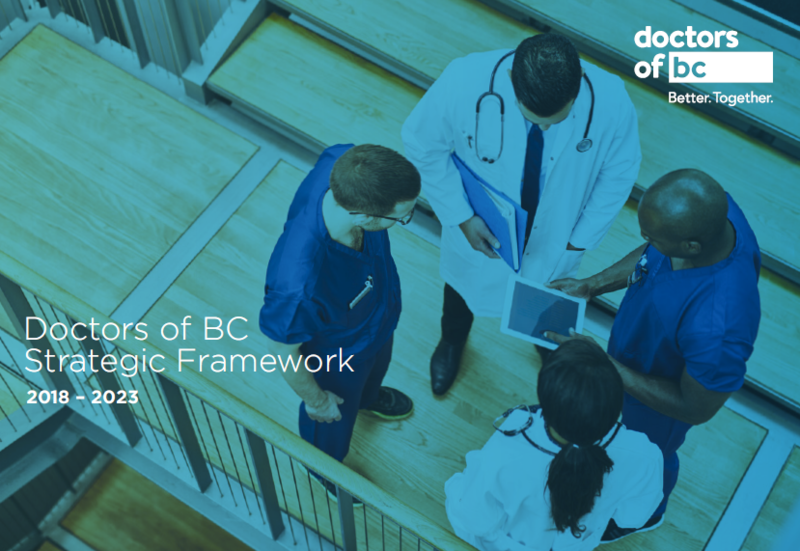 For additional information on our Board, please contact Christine Donnelly at: cdonnelly@doctorsofbc.ca. The role of the Representative Assembly is that of an influential body that represents members' interests, provides a forum for members to come together to discuss issues of importance to the profession, and offers guidance to the Board. It includes a diverse representation of family physicians and specialists, those practicing in rural and urban communities, and those in all stages of their medical careers. The Representative Assembly is comprised of 106 voting members, some of whom are elected by the membership and others who are appointed by a Section or representative organization. For additional information on our Representative Assembly, please contact Clare O'Callaghan at cocallaghan@doctorsofbc.ca.